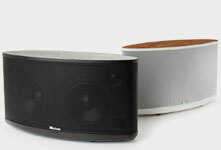 Connecting A Subwoofer: What Goes Where? Continuing in our series of videos about subwoofer setup, Axiom Engineer Andrew Welker gives us an idea of what you need to know about subwoofer connections. It can be confusing - XLR, Line Level, RCA . . . what's the right one to use? Andrew Welker: Today we're going to talk a little bit about connecting a subwoofer to a receiver. 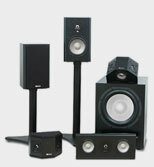 Connecting a subwoofer is not very difficult, particularly as most home theater receivers now have dedicated Subwoofer Outputs on them. The first thing that I want to mention is that before you make any connections it's a good idea to make sure that the power is off to the receiver and the subwoofer. You're not necessarily going to damage anything, but it can cause some startling bangs and noises if things are not right. So if you locate on the back of your home theater receiver or processor, the output labeled Sub Out, most of the time you're going to find a common connection called an RCA connection. Here's what an RCA jack looks like and here's the plugin. On most receivers there's going to be one Sub Output; on some there will be two. You're simply going to plug your RCA into that Sub Out on your receiver or processor, and then the other end is going to connect to your subwoofer. Depending on what vintage of our subwoofer you own, you may have a multi-plug which requires a quarter phone to RCA adapter which is included with the subwoofer. If you have one of those amplifiers, you simply plug the adapter in, and then you then you plug the other end of your RCA cable from your receiver's Sub Out into that input connection, and now that subwoofer is connected. If you don't have one of these multi jacks on your subwoofer, you'll have one of these standard RCA jacks, and it's just a matter of plugging in to the RCA that is labelled Low-Level Input. On some home theater processors you're going to find a different connection as an option, which is called an XLR connection. It's typically found on higher-end equipment and it gives you the benefit of being able to run longer runs of these cables with lower noise and interference. In the case that you've got an XLR Subwoofer Output on your processor, it's exactly the same as the RCA connection. If you have a multi-jack it plugs into the same connector that held the RCA adapter. If you have a version with a dedicated XLR input, it plugs into that input. In case you're not using a home theater receiver or processor, and have a stereo system or two-channel system with an integrated amplifier or a dedicated pre-amp and amplifier, obviously you're not going to find a dedicated Subwoofer Output in almost all cases with those electronics. So the question then is how can you hook up your subwoofers? In the case where you've got an amplifier that you need to hook up to the subwoofer, you're going to use what's called the High Level Connections, and these are identical to the Speaker Connections that you would use on a typical amplifier. Now, you have a couple of options here: you can either run your amplifier connections to the main speakers and then run another set of speaker cables to the subwoofer. Alternatively, you can either wire from the amplifier to the subwoofer and then jump off to your main speakers or vice versa: you can go to the speakers from the amplifier and then from the main left and right speakers you can jumper to the subwoofer. In any case, what you're doing is you're simply going to connect both the left and right Speaker Outputs, wherever they are coming from, to the input of the subwoofer amp. Now you have available the same signal that you would coming from the Sub Out on a processor. Now that you've got your subwoofer connected up in the manner that works in the manner that works with the electronics that you own, now's the time that you can power up your electronics, plug in your subwoofer, power it on, and then begin to make the subwoofer adjustments and set up. I could be wrong but I thought the article was how to hook up two subs. The answer about a Sub out was almost self evident. I have a problem with my pre-amp processor with a dead sub out though when I turn off the power amp and plug the sub into the left or right channel...it process a single and the sub works. These sites never seem to deal with problems people have and the more complicated your system,...the more problems. eg: My Martin Logan's ES do not turn on if there is no audio signal..the light in the front is out. This issue is never discussed in reviews etc. It caused me a lot of changing cables etc until I figured it out. If I am understanding you correctly, you are utilizing a dedicated subwoofer in conjunction with your Martin Logan Electrostats. 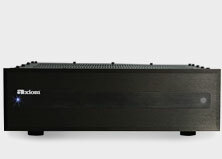 If the Sub Out is indeed non-functioning at the processor, you will need to connect your subwoofer High Level via the Speaker Outputs of your amplifier, as well as connecting the Martin Logans high level. 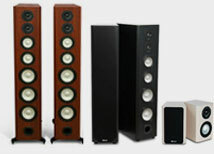 However,in order to further address your situation, let us know what make of processor, amplifier and subwoofer you are utilizing along with the Martin Logan speakers.